3.Hardness inspection: the inspection according to material of model checking is related to the effective data files, confirm what is the hardness, using hardness tester for testing, sampling of the surface of the material requirements must conform to the requirements of the relevant durometer measurement. 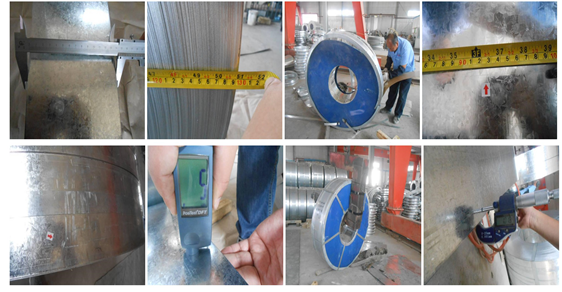 4.Appearance inspection: mainly on the material appearance shape, inspection of surface defect: For appearance’s defects, can use visual inspection, for High Precision Process, it is not easy to detect the shape of the demand by visual inspection , it needs appropriate measuring tool to measure. 10) Fold:It is the metal in the process of hot rolling or forging forming of a kind of surface defect, surface or double metal layers, with each other in a straight line or curve.